and take back their health! Already Ordered? Click Here To Claim Your Gifts! Then you already know what conventional medicine has to offer you: A lifetime of harsh medications that may or may not mask your symptoms and that often carry side effects worse than the disease itself! You CAN reverse your autoimmunity, and reclaim your health and vitality, all by addressing the true underlying causes of autoimmunity using simple and proven dietary and lifestyle changes. Are you are one of the millions dealing with Hashimoto's, Graves', MS, IBS, Crohn's, Celiac, rheumatoid arthritis, or just looking to maintain optimal health for yourself and your family? You are not alone, I wrote this cookbook for you! If you’ve read The Autoimmune Solution and have already followed its thirty-day protocol, this cookbook is the perfect companion for spicing up your diet and adding more variety to your mealtimes. 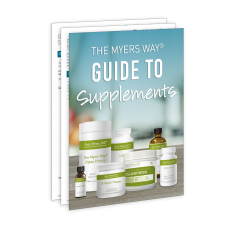 If you are new to The Myers Way®, this groundbreaking cookbook contains the perfect introduction to preventing and reversing autoimmunity and includes everything you need to begin instantly following the protocol. Whether you're a five-star chef or just getting started in the kitchen, I created these recipes to be a piece of cake (YES! There's even a birthday cake recipe I created for my daughter). Having an autoimmune disorder doesn’t need to keep you from living the life you want and deserve! Get your copy of the cookbook inspired by a New York Times bestseller that has empowered over 100,000 people to reverse their autoimmunity and take back their health! 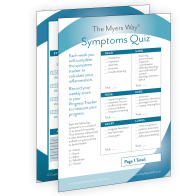 Hashimoto's, Celiac, RA, Or Unexplained Symptoms? Thanks to so many of you adopting AIP diets, there are tons of different options available for gluten-free and grain-free flours, healthy cooking fats, autoimmune-friendly sweeteners and more! 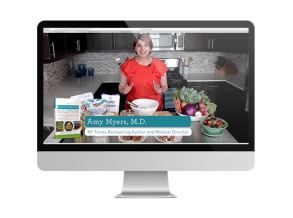 Find out what products Dr. Myers stocks her own pantry with so you, too, can become a true AIP cooking master!